After rejecting a deal reached by fellow tribesmen, hundreds of Marri tribesmen backed by their chief blocked transportation of coal from Chamalang in Balochistan Pakistan to other parts of the country on Saturday. The blockade follows weeks of deadly skirmishes for control of the coal fields that hold recoverable reserves more than 500 million tonnes. 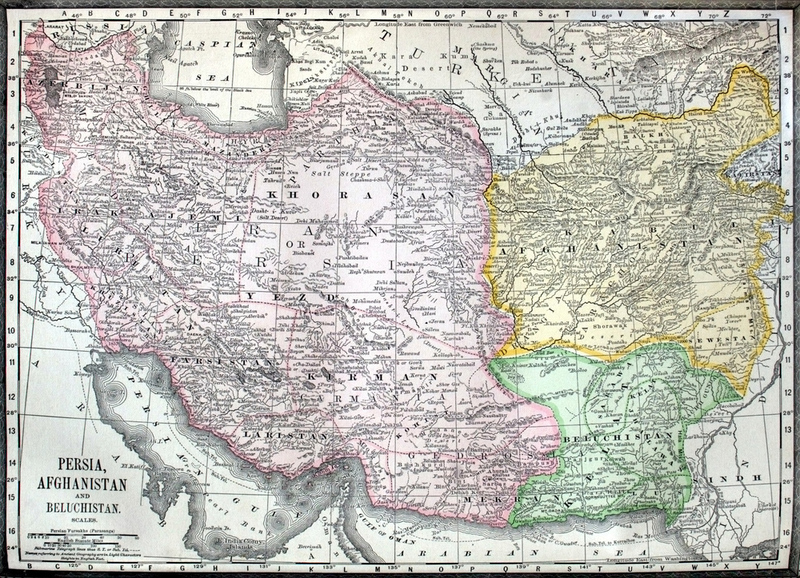 The high-quality Chamalang coal mines were first discoverd in 1885 (see historic map) when the country was under British rule and a 30-year bloody war between the Pashtoon Luni and Marri tribes over the recoverable reserves were ended only after the Pakistan Army intervened in 2006 and mining could restart. The latest dispute is between the Marri leader who signed the peace treaty with the Luni and the leader of the separatist movement in Balochistan. The Express Tribune reports Karachi-based Baloch nationalist leader Nawab Marri, who is leading the separatist movement in Balochistan, is against sharing of the coal reserves found in his tribal domain with the rival Pakhtun tribe and the provincial government. The resisting Marri tribesmen claim that Senator Mir Mohabbat Khan Marri was not empowered to sign the accord on behalf of their tribe as Nawab Khair Bakhsh Marri was the competent authority. Balochistan is the largest province of Pakistan, constituting approximately 44% of the total land mass of Pakistan. According to the 1998 census, Balochistan had a population of roughly 6.6 million. 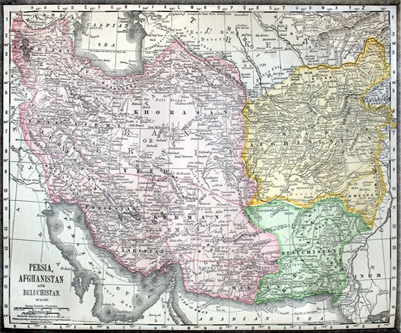 Click here for large version of the hand-coloured map of the Middle East showing Afghanistan, Persia and Balochistan dated 1889. For a link to an active discussion board on Chamalang and the Marri and Luni clashes click here for the Pakistani Military website. Below is a two-part documentary about the conflict produced by the Pakistan Army communications narrated by Paul Anderson.